According to some books and websites, succeeding on eBay is easy (albeit often with some “secret” that you get only by buying the book, website subscription, or other product). Some say eBay’s heyday is over, and nobody makes money there anymore. So what gives? 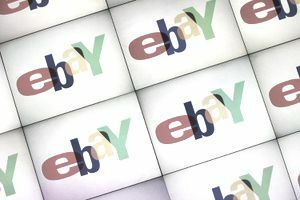 Is it easy to get rich quick on eBay, or is it impossible to make a buck under any circumstances? For some, it’s much harder than it used to be. For others, it’s easier than ever. As has always been the case, some sellers are doing very well on eBay while others struggle. What has changed in recent years is the nature of the marketplace. eBay has become more popular (with more members, buyers, and sellers), more fee-intensive, and its customer service more buyer-oriented. The company also has become more global and is now part of a much larger ecosystem of e-commerce retailers, such as Alibaba and Amazon. It’s easy to picture the eBay of a dozen years ago: still somewhat exotic for the general public yet at the same time the only major e-commerce retailer, populated more by enthusiasts, early adopters, specialists, and recyclers than by professional retailers. Fast-forward to today and what you’ll see on eBay is the global public. Just about every entrepreneur, business, and trader of every kind sells on eBay or has considered selling on eBay, and most people are well-accustomed to online buying, including savvy price comparison and product comparison practices. Today on eBay there are more sellers than ever before, and competition is much more intense than it was when the company started. Professional retailers and importers/exporters are more numerous, and many products are sourced globally or sold directly, and in high volume. The present-day buyer is much more sophisticated about getting great value and has been trained to comparison-shop. And unlike the bad old days, customer service is now paramount for buyer retention. Combine all of these factors with increasing fees and what you have is a recipe for razor-thin margins and cutthroat competition in most retail goods categories. So is eBay over? Are all eBay sellers doomed to flounder? Of course not. One glance at the numbers for eBay and the current listings in any category provide evidence of eBay’s continued centrality in online retail. What is true, however, is that you’ll have to be a pretty big player to compete in areas like consumer electronics, media, or fashion, given the margins at work and the masses of East Asian direct sellers competing in these categories. What hasn’t changed about eBay is the way in which it serves a population of shoppers that are otherwise neglected by traditional retail. These include arts and crafts enthusiasts, and those looking for antiques or vintage goods, and collectibles buffs. Do-it-yourselfers of all kinds and hobbyists of various stripes are still big segments of eBay's user base, as are buyers of used and consignment goods and buyers of one-of-a-kind and scratch-and-dent goods. If you’re interested in getting a start selling on eBay, your best bets are to ignore the claims about “easy” eBay riches or “impossible” eBay policies and focus on finding a business model that’s viable on eBay today. That means winning the battle for the bid and avoiding crippling mistakes. Selling on eBay is a lot more like buying on eBay than it used to be: You can make out like a bandit, but you have to be smart, patient and just a little bit cagey for that to happen.